What would the world be like if women were in control? Would war, hunger, and poverty disappear? 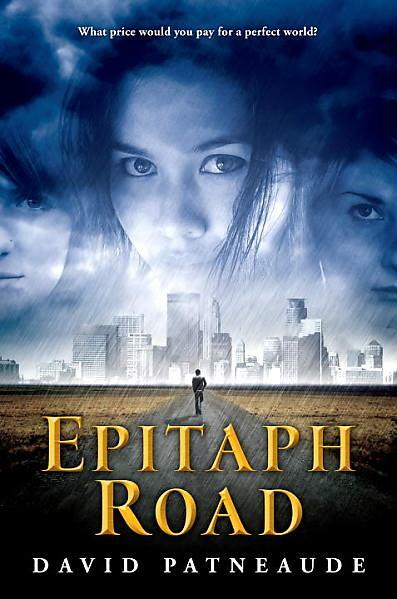 This is the question author David Patneaude explores in his dystopic young adult novel Epitaph Road. Kellen is a minority. He’s male in a world where 95% of the population is female. A plague, Elisha’s Bear, killed almost every male more than 30 years ago. Had he not been on a camping trip in the wild with his mother and sister, he would have died as well. Now, he’s nothing more than an oddity, someone girls look at with contempt. He’s a second class citizen. If he passes mandated tests that only males are required to take, he might be allowed to assume a non-threatening occupation, one in which the job keeper would not hold power over others. That is what males have been resigned to. However, when another outbreak of Elisha’s Bear threatens a community of men and some women who are termed “throwbacks” for their old-fashioned way of living, Kellen becomes alarmed. His father is one of those “throwbacks.” But will he have enough time to warn his father and avoid contracting the plague?